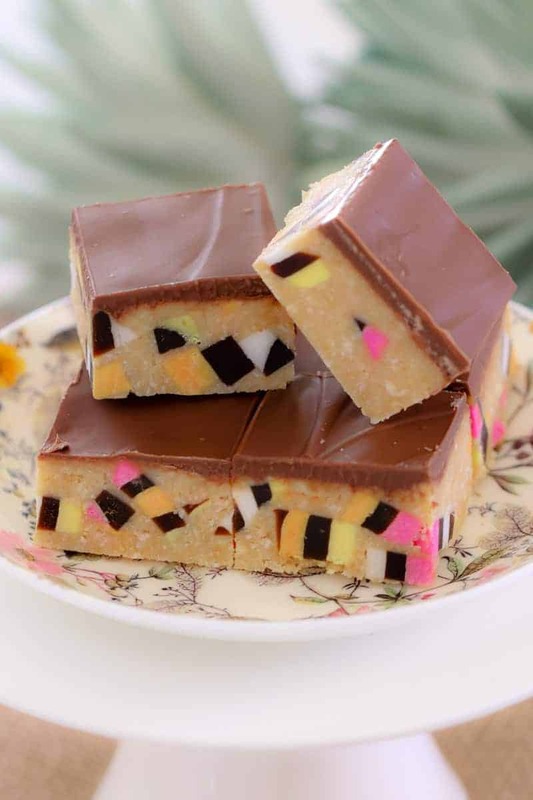 So bright, so colourful, so delicious – this really is the ultimate Licorice Allsort Slice recipe… and it’s completely no-bake! If you’re looking for a super pretty slice (that also tastes awesome! 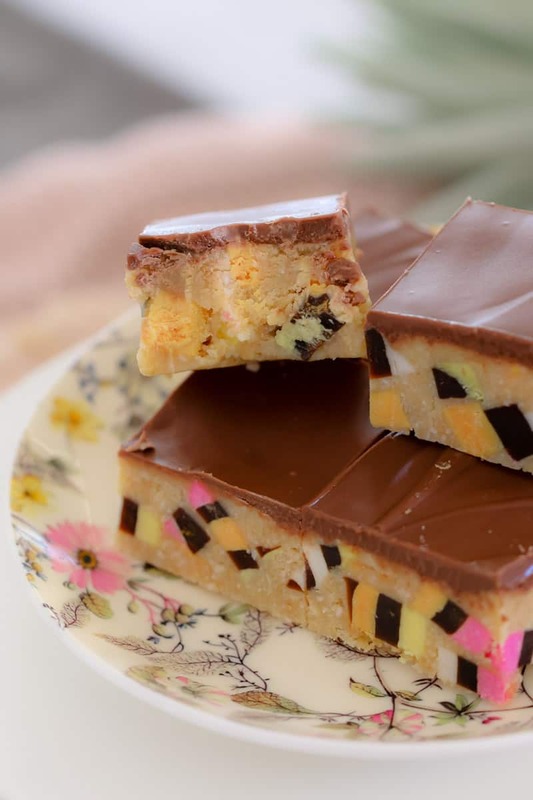 ), then you really can’t go past a Licorice Allsort Slice. 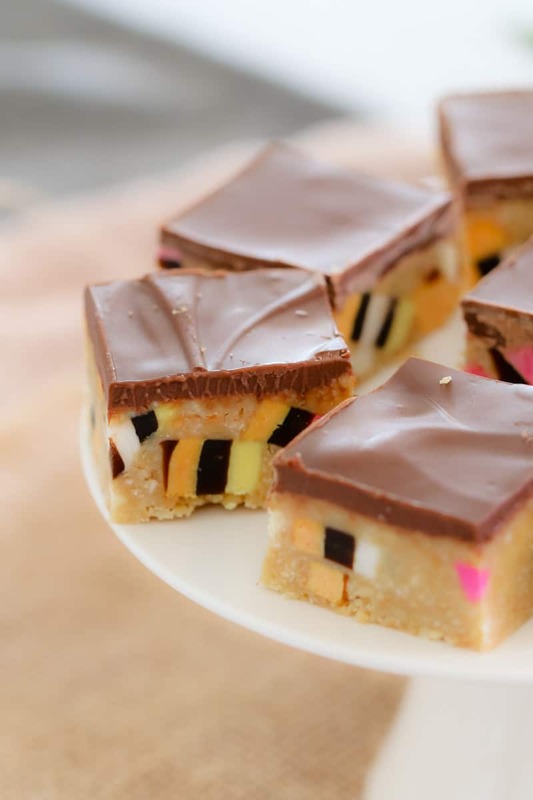 Made with a basic biscuit base, with pops of licorice allosrts throughout and a classic chocolate topping… it doesn’t get any better than this! 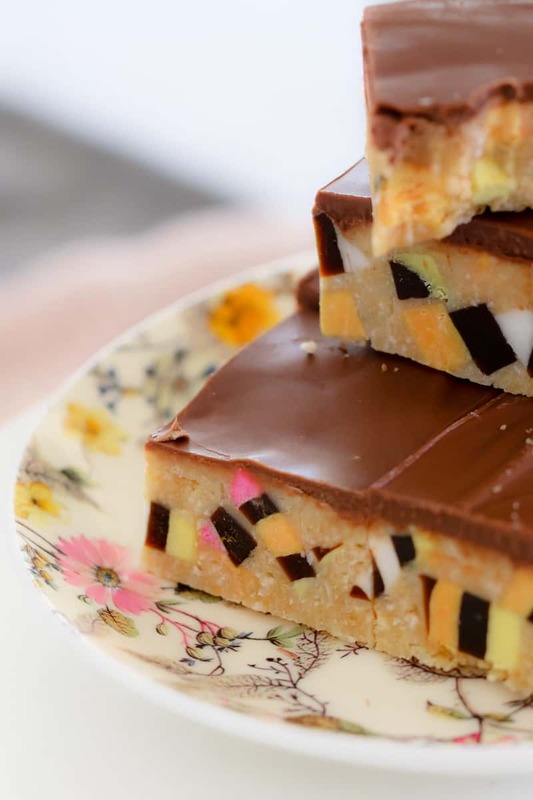 This gorgeous little slice is one of my Mum’s absolute favourites… and it’s no surprise given it is crazy yummy! Even if you don’t like licorice (I don’t!! ), you’ll love this slice (I do!!). … absolutely any day, time or excuse!! And did I mention that this slice will take you less than 20 minutes to make… that’s so quick, right!!! If you race around super quick, I’d say you could cut down that time to 10-15 minutes. Hehehe go on.. I dare you to try! 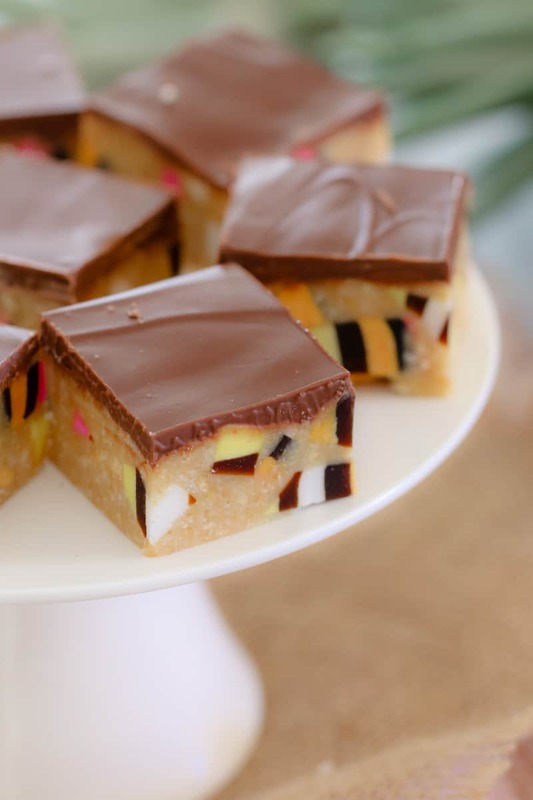 And you probably already know this, but if not… I LOVE no-bake slices. They are by far my favourites! 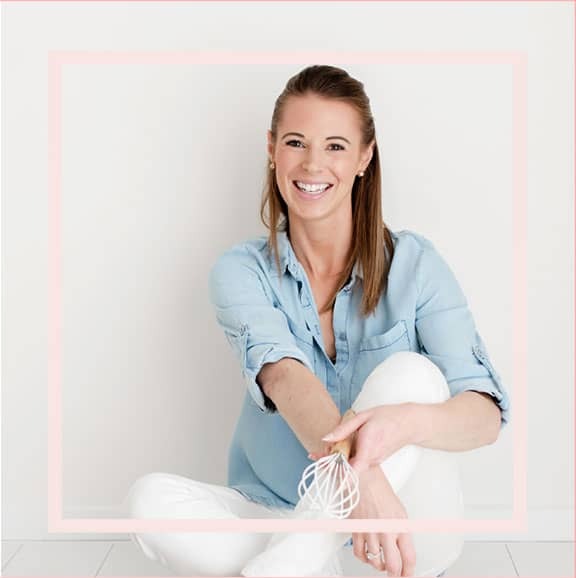 So please check out my collection of a few of my other favourite recipes here! 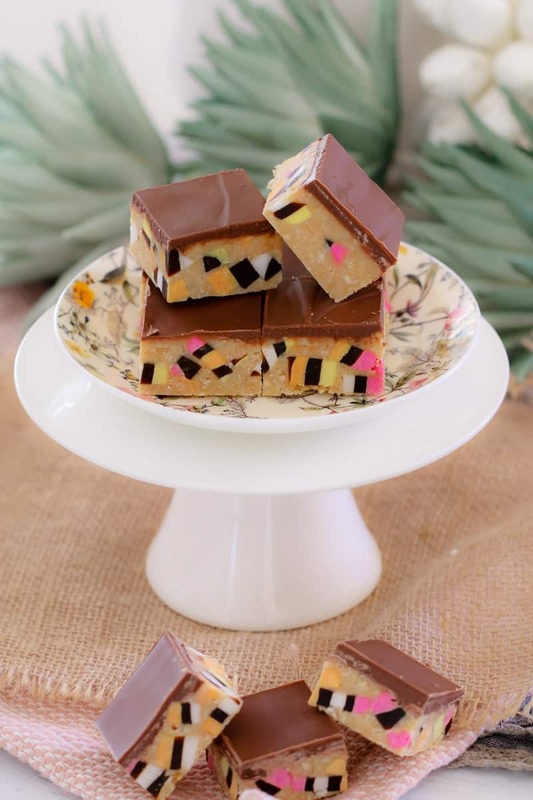 There’s everything from peppermint slices to Mars Bar Slice, rocky road to jelly slice… and pretty much everything else you could think of! Yummity-yum! PS. 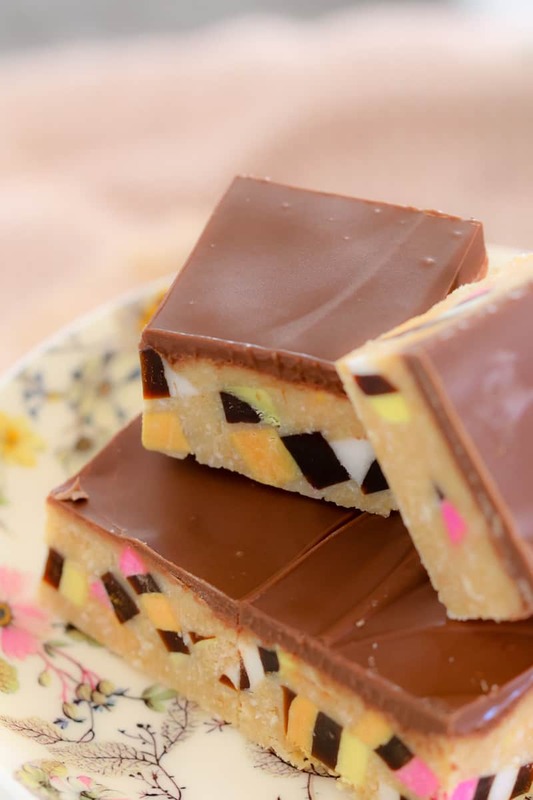 Check out my video below to see how easy it is to make Licorice Allsort Slice! 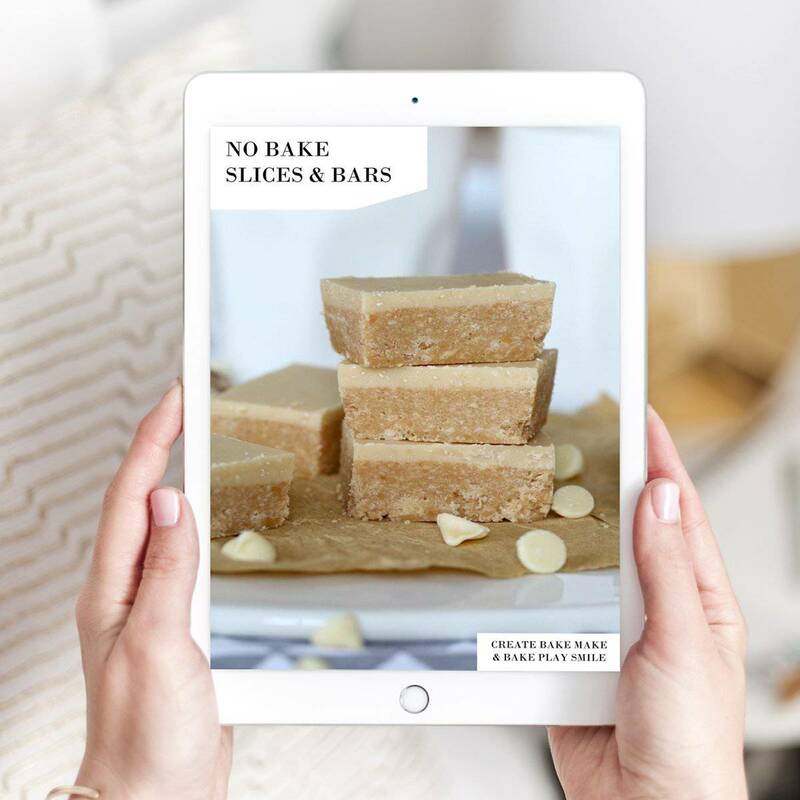 For more easy slice recipes, check out our NO-BAKE BARS & SLICES EBOOK packed with 17 of our most popular recipes (available in both conventional and Thermomix versions) for just $10.00. So bright, so colourful, so delicious! 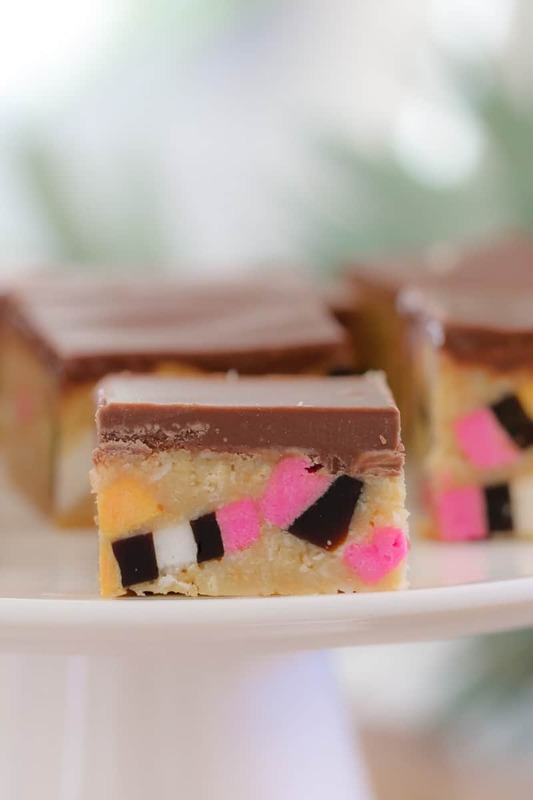 This really is the ultimate Licorice Allsort Slice recipe... and it's completely no-bake! Line and grease a 18 x 32cm slice tray with baking paper and set aside. Combine the butter, sweetened condensed milk and golden syrup in a microwave-safe bowl and melt on 50% power, 3-4 minutes, or until melted. Add the crushed biscuits, coconut and licorice allsorts and stir until just combined. Press the mixture into the base of the prepared pan and set aside for 30 minutes to set. Place the milk chocolate and vegetable oil in a microwave-safe and melt on 50% power, 3-4 minutes, stirring every 30 seconds until just melted. Pour the melted chocolate over the slice and place into the fridge to set. Place the butter, sweetened condensed milk and golden syrup in the Thermomix bowl and melt on 60 degrees, Speed 2, 4 minutes. Add the biscuits and crush on Speed 6, 10 seconds. 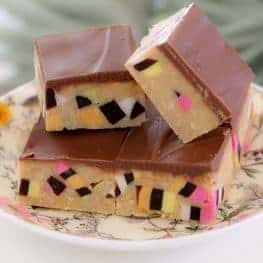 Add the coconut and licorice allsorts and mix on Reverse, Speed 3, 10 seconds (or until combined - use the spatula to help mix). Place the milk chocolate and vegetable oil in a clean and dry Thermomix bowl and melt 50 degrees, Speed 2, 4 minutes. No problem! It was a great reminder that I need to make some! Haha we are definitely very similar Danielle! 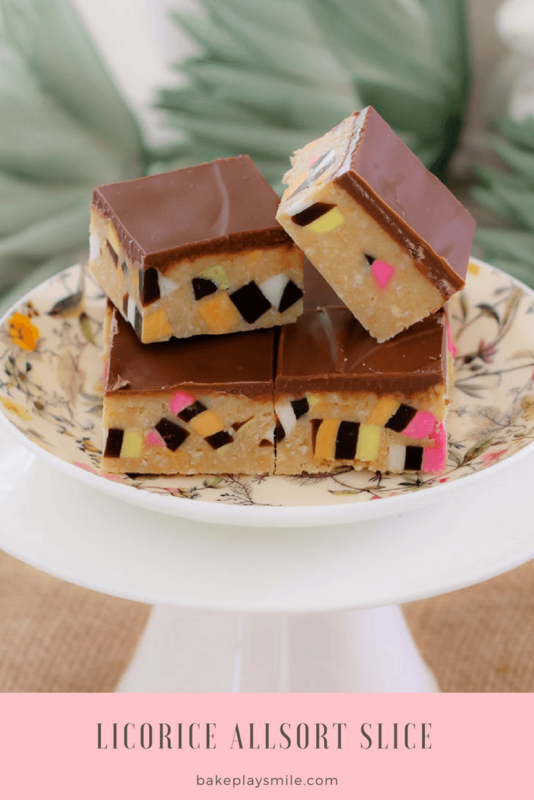 Oooh Rocky Road sounds great! I like to use a little Victorinox serrated knife when I cut my slices. It’s tiny but oh so fabulous!!! Thanks for the tip Lucy! I may have to invest! No probs! They’re so great! So many lovely looking things here this week, can’t wait to try some out. Oh my goodness – you’ll love it! !